A primary reason for aging is the failure of systems in your body that are responsible for your uptake and utilization of oxygen. What happens when our cells don’t get enough oxygen? We age more quickly and become weak! 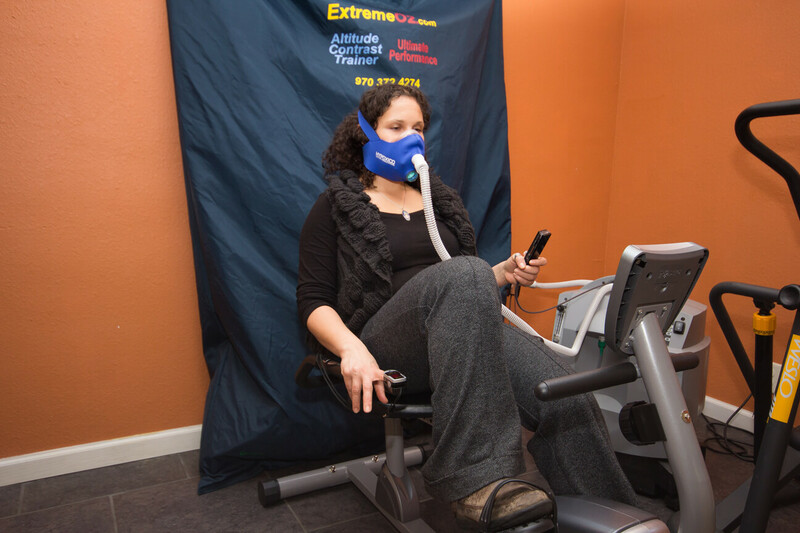 Exercising while breathing supplemental oxygen, also known as “exercise with oxygen therapy (EWOT)”, dramatically increases the amount of O2 in your plasma. After only 15 minutes of this type of exercise, your skin becomes pink because capillaries are carrying oxygen to the skin’s surface. Users of EWOT report increased energy, improved vision and mental clarity almost immediately. Running, walking or cycling without the use of supplemental oxygen may actually decrease the oxygen content of your blood because your cells and tissues are using more oxygen than is available for the increased activity. Surgery, chronic inflammation, poor digestion, insufficient nutrition, infections, stress, dehydration, and acidic pH can compromise your oxygenation levels. Cancer thrives in a low oxygen environment. Exercise with oxygen seems to promote a strong environment for cancer recovery and prevention and has been known to aid in eliminating lyme disease. Give it a try today for enhanced wellness, prevention, and anti-aging!